This recently viral video demonstrates so clearly, what is now obvious to everyone - that self-help guru star Tony Robbins does not understand the purpose of the #MeToo movement. During his event in San Jose on 15 March 2018, among other things, Mr. Robbins said, "If you use the #MeToo movement to try to get significance and certainty by attacking and destroying someone else, you haven't grown an ounce, all you've done is basically use a drug called significance to make yourself feel good." 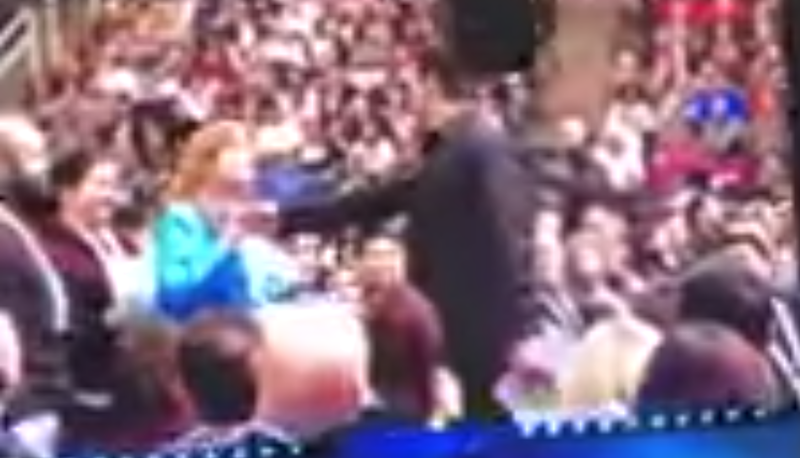 Robbins then proceeded to deliberately physically intimidate an audience member - Nanine McCool. He didn't ask her if she wanted to participate in a demonstration - he told her ("Come over here" - gesturing with his finger, 3:15 - 3:16). Robbins didn't ask Ms. McCool's consent to touch her - he told her to "Put out your fist" (3:26 - 3:27) - and then immediately violated her personal space as he began physically pushing her backward. Robbins is 6' 7" and probably outweighs Ms. McCool by 100 pounds or more. Naturally, with Robbins' size and momentum, Ms. McCool was, of course, forced to walk backward - increasing her vulnerability even more. 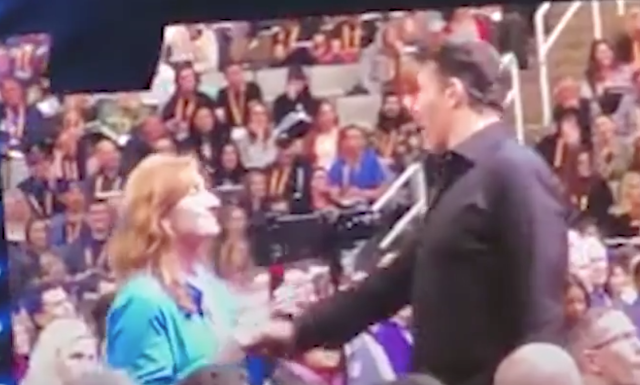 As she retracted her arm (bent her elbow), Tony Robbins' further violated Nanine McCool's personal space (intimate space) - near her neck/throat and then her chest. • Robbins' "significance explanation" leaves no room for the urgent need for justice, prevention, and cultural change. • Robbins' antidote of a "very famous man, very powerful man" (Robbins "had a dozen men tell" him similar stories), who was afraid to hire a more qualified woman because she was attractive - wreaks of the fact that the problem is with the lack of moral character and lack of control of the man involved - and has nothing whatsoever to do with any imagined fault of the #MeToo movement. • Robbins is endorsing the warped idea that less qualified men should be hired over women who are more qualified. Robbins is blaming the woman for being "too attractive" or being "too qualified". It's unimaginable that anyone could tell this story believing that somehow women need to change and not the man. • Moreover, Robbins' story indicates, with high likelihood, that the man involved - has guilt on his conscious. Summary: Tony Robbins' act of physically pushing a victim-survivor of sexual assault (or anyone) - without their permission - is a completely inaccurate metaphor for the #MeToo movement. It is, however, a very accurate and literal example (no metaphor needed) of deliberate intimidation, misogyny, bullying, and touching a person without their permission. Robbins' actions and words are, in large measure, the antithesis of what the #MeToo movement stands for. 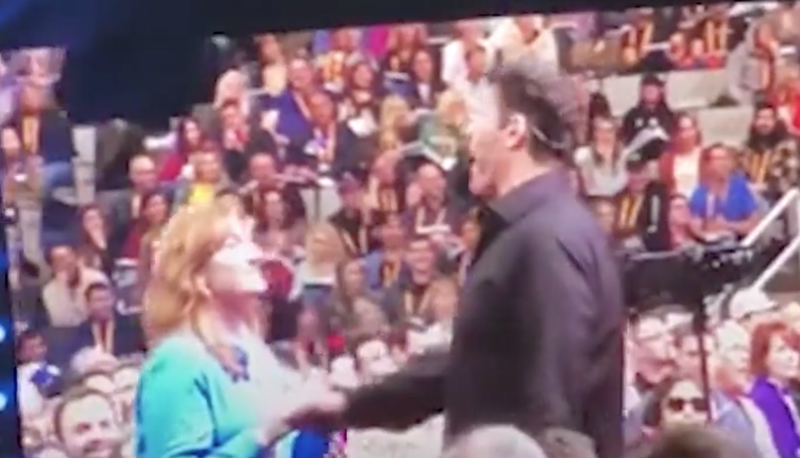 Tony Robbins either does not understand body language - or, much worse, he's using his knowledge of nonverbal behavior to further intimidate and manipulate women who've already been victimized. Body Language Analysis No. Body Language Analysis No. 4251: Cristiano Ronaldo's Bicycle Kick vs. Juventus F.C.